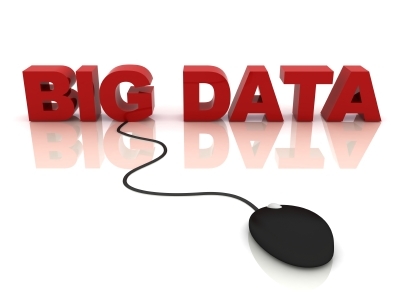 If you're recapping all of the noteworthy IT events and phenomena in 2013, you can certainly start with Big Data. Amidst cloud computing and mobile innovations, "Big Data" was a big deal to a lot of decision-makers. And they bought in. According to Gartner, Big Data drove upwards of $34 million of IT spending. Getting to the data sweet spots became the new gold rush, or as the World Economic Forum referred to as "the new oil" and "a new asset class." Database platforms powered by Hadoop served as rich sources of information geared to deliver profound results. While Hadoop keeps progressing, other technologies such as YARN added to and expanded its capabilities. Some of the memorable impacts of Big Data in 2013: Schools were able to use Big Data to predict the impact teaching has on student scores; travel companies used the technology to improve in several critical areas, including reliability, safety, and revenue management; the financial services industry was able to increase capital flows and profitability. With Big Data only scratching the surface of its potential, what can your organization expect in the way of new developments in 2014? Going forward, IBM CEO Ginni Rommety believes that the influence of Big Data and analytics driven decision-making will go beyond the technology itself; it will become a cultural shift. Pitney Bowes SVP of customer data and location intelligence, James Buckley, believes that “local intelligence” will be critical. For instance, where people are by tracking check-ins and location finders through mobile devices will be important to understand the relationships between specific locations. Eric Holmen, CMO of Inovoca, pointed to the need for automating the process of packaging, delivering, and reporting of data to other systems. This will enable businesses to track all customer interactions, regardless of the device it starts on. For example, if someone starts a purchase on a desktop but then shifts to a mobile device, there should be a better way to maintain the link. Dan Malligner, data science practice lead for Think Big Analytics, stated the hot data to analyze for 2014 will be human data. Specifically, employee data will be a big source of knowledge to gage certain behaviors and patterns. What do you think the future of Big Data holds? Give us your thoughts and contact QueBIT to learn more.